"We hardly get to listen to a man like Kosal with his past, without apprehension." Catch two episodes of the premiere of Verses in Exile, a new web series by the director of Cambodian Son, at CAAMFest 2015. On March 19, episodes will premiere at CAAMFest and launch on PBS.org. Two episodes of Verses in Exile will precede the feature length documentary, Tashi’s Turbine, on March 19. 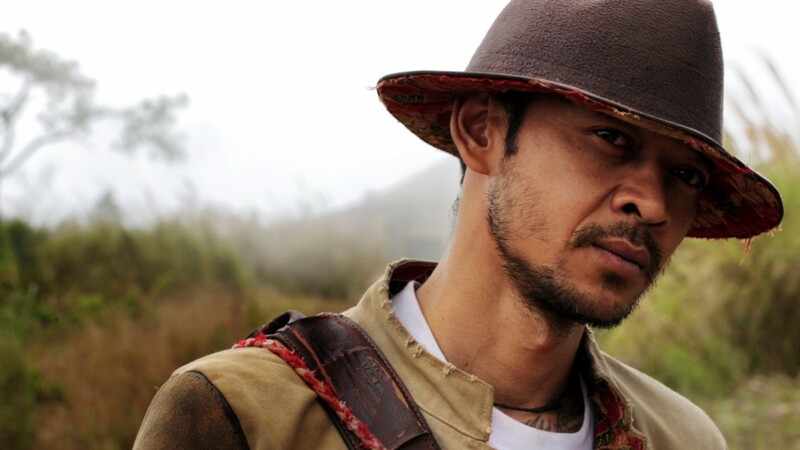 A co-production of CAAM and Studio Revolt with major funding provides by the Center for Public Broadcasting, Verses in Exile portrays the life of Kosal Khiev, a man who frees himself from 14 years of confinement and deportation by writing and re-telling his journey from refugee to troubled youth, from prison survivor to poet. Armed with memorized verses and tangled tales of survival, Kosal’s strange fate pulls him into unimaginable places. With no choice but to be performed entirely in Cambodia, these are his Verses In Exile. Studio Revolt consists of Sugano and his wife, producer Anida Yoeu Ali, who live in Phnom Penh, Cambodia. The series is the prequel to the award-winning feature length documentary, Cambodian Son, by Masahiro Sugano. 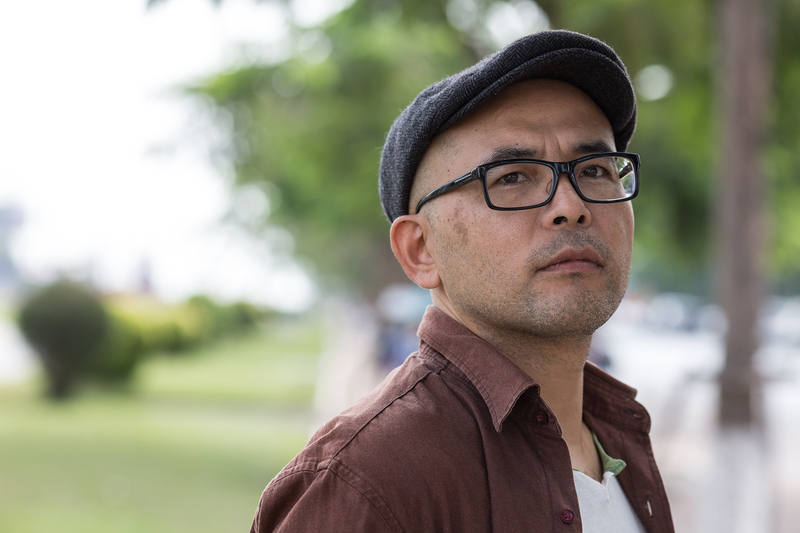 Director Masahiro Sugano shares about the making of Verses in Exile. Find out more about Verses in Exile here. Since you have already done a full length film on Kosal, why did you want to create the prequel? Cambodian Son is a full-length documentary on Kosal and his travels to London 2012 Olympics. The film was just released in Cambodia in 5 theaters. But that film happened without my intention of involvement. It wasn’t my plan to make it happen. I was somewhat sucked into it by the force of events that unfolded in 2012. Prior to this beast, there was another project I was incubating ever since meeting Kosal in 2011. That was Verses In Exile. I wanted to make Verses in Exile a feature length film on his life, covering the same span of time in his life as the final four episodes turned out to be (up to his deportation). But I really wanted to do a re-enactment of many of the scenes. It was to be done in a minimalist theater style. Then the re-enactment would be mixed with his story telling with a Cambodian backdrop. Then mixed with some fantasy scenes where older Kosal would reflect upon what younger Kosal was thinking. Now this weird film (and I was going to call it a documentary) was what I wanted to do first. Kosal and I sat down and I chronicled his life in detail over 4-week session, 2-3 days a week. That was February of 2012, and that’s when Anida received an e-mail from London and it was an invitation for Kosal to come perform for the Cultural Olympiad 2012 representing Cambodia. I was skeptical of this story that became Cambodian Son for the a long time in the early stages. But the magnitude and urgency of the events were too strong to resist. I was practically forced by my colleagues to commit to Cambodian Son as a feature length documentary and drop Verses In Exile for a while. And eventually and through support from CAAM, we were able to produce the story telling a portion of Verses in Exile and that became the Verses In Exile in 4 episodes that are about to be released via PBS.org and at CAAMFest. What do you want people to walk away with from Verses in Exiles? For the original fantastical documentary version I had in mind, I was hoping to get people to witness a man’s growth through some incredible hardships and insane events. I wanted to recount and recreate the story of a man who has survived it all and has attained a rock-solid wisdom. Like Yoda in the making. But this was not possible due to changes of production scale and also, Kosal is not the Yoda figure yet. The wise perspective I would have hoped for on his life would have had to come from my writing and not his own thoughts. And, of course, that would be a projection of a filmmaker’s idea of what wisdom should look like. The fact is Kosal is still very much developing, learning and coping, just less than four years after being released from 15 years of incarceration. So in these Verses in Exile four episodes, what I want people to see is…well, I just wanted people to listen to a guy who doesn’t seem like the same person he is talking about in his own stories. Because most of the stories he tells you is a big stigma. We are accustomed to dealing with people like him only through labels and exaggerations. We hardly get to listen to a man like Kosal with his past, without apprehension. I thought providing that experience even for a short time would change our perception of how we must deal with the ever-growing population of ex-cons and felons, which seem to be generated as part of a system of control. They are people. They are often funny. And they are resourceful and hopeful. Are there more episodes of Verses in Exile (more than these 4)? If so, what could we expect? I really wanted to share more of his prison stories, the real ones. Not the scary extreme stuff. The real everyday stuff. At the end of the day, all these guys behind bars are trying to make their lives easier and more bearable. The ways locked up folks get creative to obtain what they are not allowed to have are amazing. It’s almost inspiring. You see the human spirits there. It’s raw and it smells like the food they are dying to eat and haven’t had for years. I wanted people to hear Kosal talk about how to make moonshine, how to make tattoo guns, how to cook prison spread. He can tell you all these things in the most charming and entertaining way imaginable. I wanted to bring prison close to normal people. When you lock up one million people, you have to get to know them. Prison is not exotic anymore in the U.S. Imprisoning a ridiculous amount of people, even the harmless ones, is an essential part of American psyche, ideology and economy today. America likes it like that so I let it be. But I think we should get to know the inmates better. Prison is a part of everyone’s life. It had to be treated as such. But I couldn’t do that this time around. What was your biggest challenge in making this web series? The biggest challenge was editing. I had 120 to 140 hours of footage for Cambodian Son. For Verses In Exile, there was only like 16 hours. But it was 16 hours of Kosal recounting pretty interesting stories. So choosing what to be kept or not was pretty hard. I had to really slim it down. Another challenge was how to create the experience of action, like gun shooting stories, with only one-man talking head. I hope you catch some of my creative solutions in the episodes. Why do so much work with Kosal and the subject of deportation? I have no idea. I did not have much interest in it at first. But I met him. And he told me his stories. I avoided him. But he insisted that I had to listen to him for one hour. Then I did and I got sucked in. He was sucked in as well. For some reason, the heavens wanted Kosal and I to work together to do this. That’s the only way I can put it. I am still trying to get out of this mess I got sucked into. And of course another thing was, as most people know, America and much of the world have shifted in the direction of hate and fear in the last 20 years or so. It’s been fanatical after 911. I just had to take a part in this issue because it is directly related to that bigger issue in the U.S. So one must do something about it to counter that kind of forces. My calling materialized in Cambodia with Kosal and with the issues of deportation. I have never thought of myself as an activist and I never will. I will remain a filmmaker who is only interested in human stories and not propaganda. But I feel honored to be part of the dialogue that needs to happen across all planes of politics and sentiments, so that we can think of better ways to deal with our own fear and hate in our own society and community. Want more? Check out the trailer and episode synopses here. Buy tickets to Verses in Exile here!